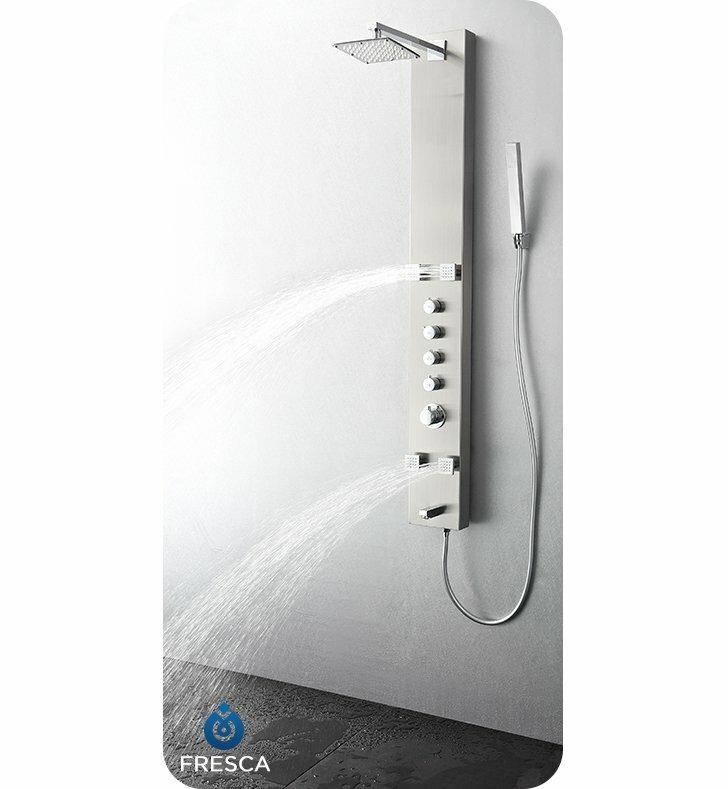 A shower panel can really take your morning cleaning routine to the next level. 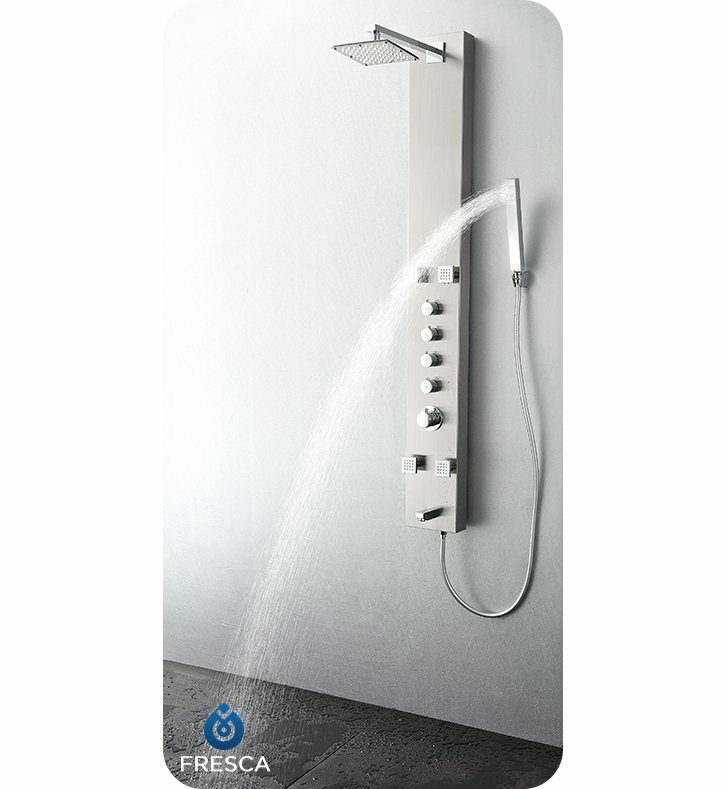 Instead of just a basic shower head you get 4 different water outputs: a large shower head that creates a rainfall effect, a handheld shower wand for mobility and hard to reach places, 4 swiveling massage water jets and a tub filling water spout on the bottom. The panel has 4 knobs that control each function and water pressure, and a master knob that controls the temperature. The fixtures are all made from brass with a chrome finish, and the unit is made from stainless steel. Dimensions: H 59" x W 7" x D 18"
Pros: It shipped quickly, all the features work together without any loss of pressure. Cons: The brackets that came with it were a little flimsy but you can buy sturdier brackets for under 10 dollars. I did a lot of searching to find one that would allow all the features to work at once and am very pleased that the features work beautifully without loss of pressure. The panel is amazing. We chose to leave out the handheld function because the cord is very long and the handheld piece is too dangerous to accidentally drop in our acrylic tub. Love that you can use all functions at once and there is a lock button incase a child happens to turn the temperature dial. Very easy to install. Looks and works like a dream. No regrets. 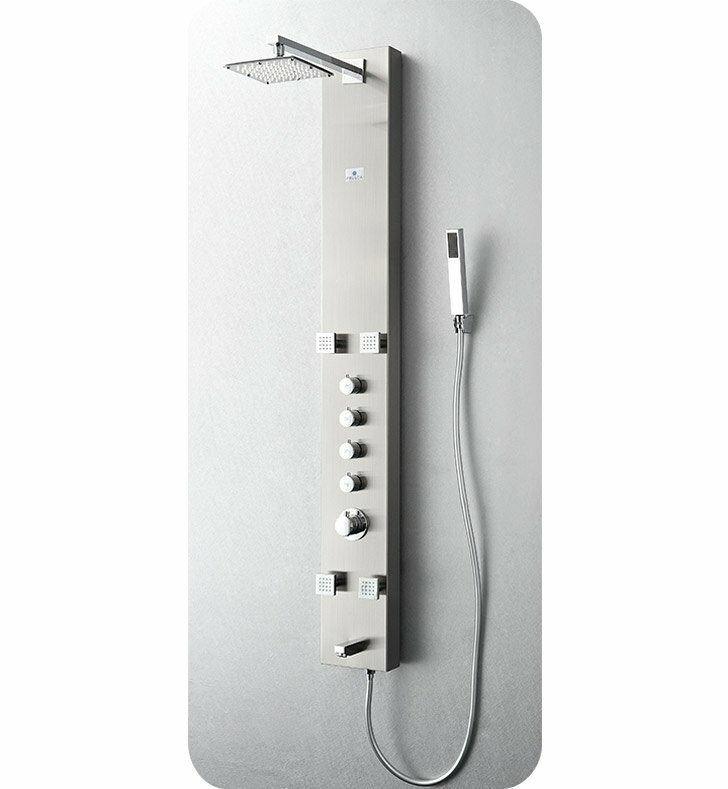 we are enjoying our shower everyday and very happy that we chose it for our main bathroom. It looks nice, and works very good - much better than any brand we had before. Love this item. I actually bought two, for two bathrooms I was renovating. It looks gorgeous and super sleek, works great. 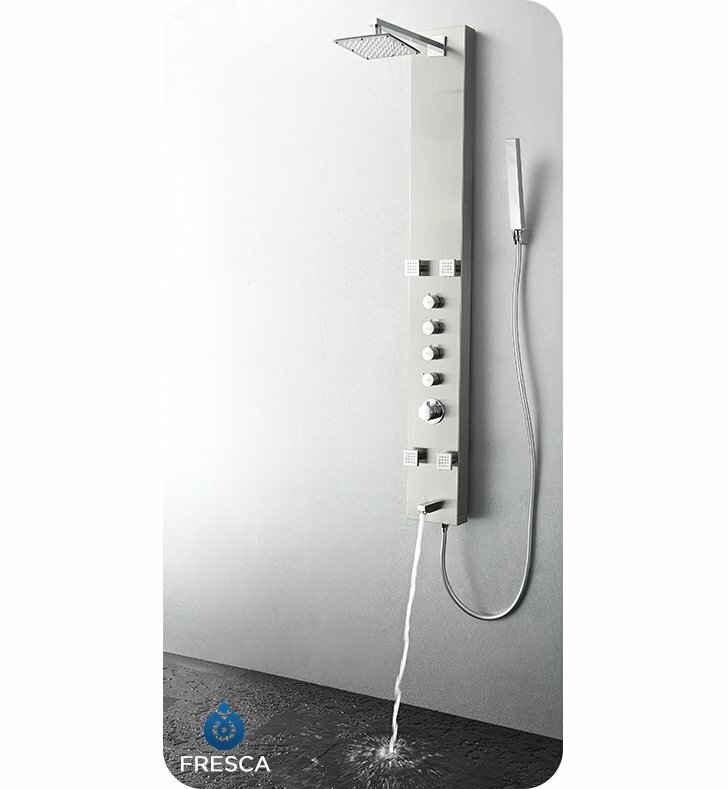 One nice thing is you can use multiple features simultaneoualy, which is hard to find esp in this price range, but even some of the high priced shower panels don't do that. When you use multiple features at the same time, the water pressure in each takes a bit of a hit, but still very manageable. Water pressure usually is just great - i have a home water filtration system and was corcerned, but apparently the plumbing pipes were large enough that it was not an issue. Only issue i have noticed is that it takes a minute or two for the warm / hot water to come out, but that's not that unusual with a lot of showers anyway. The pumber told me the install was really easy, and he was thinking of getting one too. 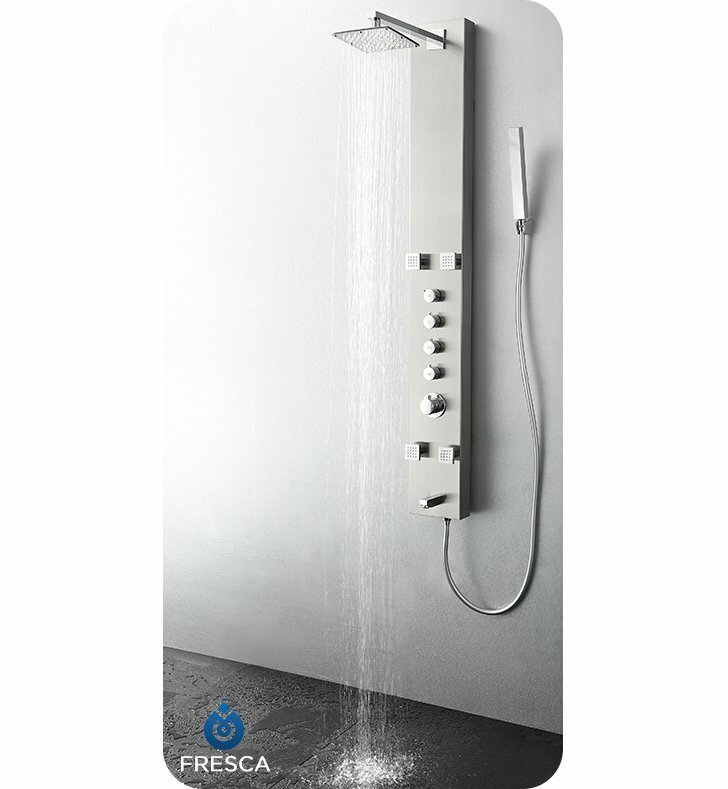 Overall I love these - they really add a serious luxurious and modern touch to the bathrooms, and also elevate the whole shower experience!